Human activities and greed has immensely impacted elephants by dramatically decreasing their population. Many of these family oriented wild mammals have become orphans or have got hurt because of our careless actions. In order to save the elephants from becoming extinct, the Pinnawala Elephant Orphanage was opened in 1975 in Pinnawala, Sri Lanka close to Kegalle. This facility functions as an orphanage, nursery and captive breeding ground. I am glad we got to visit Pinnawala Elephant Orphanage and see the beauty of elephants, which are one of our favourite animals. Seeing the elephants here was much better than seeing them in restricted small places like circuses and zoos. Elephants at Pinnawala were in herds and were roaming and playing freely. We were so excited when we put out our palms and a baby elephant came to feel it. Watch this video we took to see how the elephants were roaming freely, coming to smell our hands and walking to the river. We also got to see them walking across the street to the Maha Oya river to drink water and take a bath; this happens twice a day at 10 a.m. and 2 p.m. Watching the herd of elephants bathing was amazing. The elephants brought to Pinnawala are found in ravines or abandoned in the wild. There are many mahouts or handlers that stay close to the elephants and care for them; I believe elephants can sense if someone is unkind so I doubt the handlers are mean to the elephants. Pinnawala has been successful in breeding elephants. 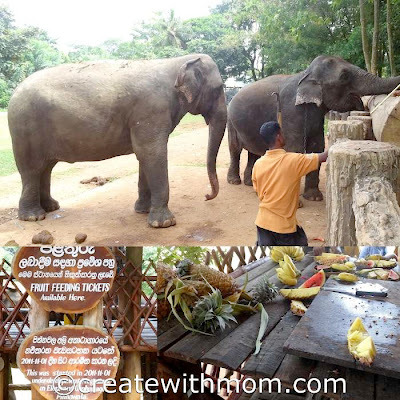 The disabled elephants remain at Pinnawala and the healthy adult elephants are sold, donated, or kept for breeding. One issue that many people are frowning upon is the quality of care given to elephants that are sold or donated and leave the facility. As a tourist attraction a couple of baby elephants were bottled fed for an extra fee, I think this is not necessary as I am not sure if the calves are deprived of their mother's milk for the purpose of making money. 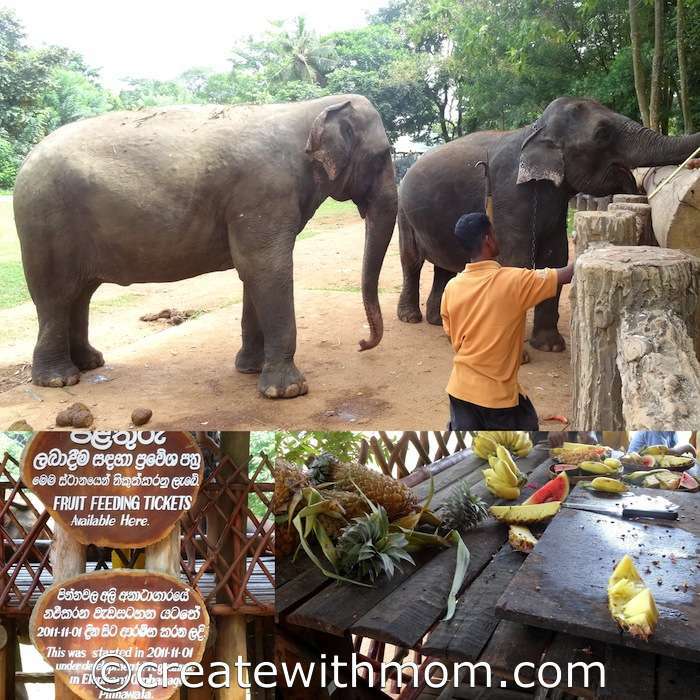 There is also a place where visitors can feed big elephants for an extra charge. Over the years, Pinnawala has improved as a tourist attraction. I just hope their priority will be to care for the elephants and not a way to make money. 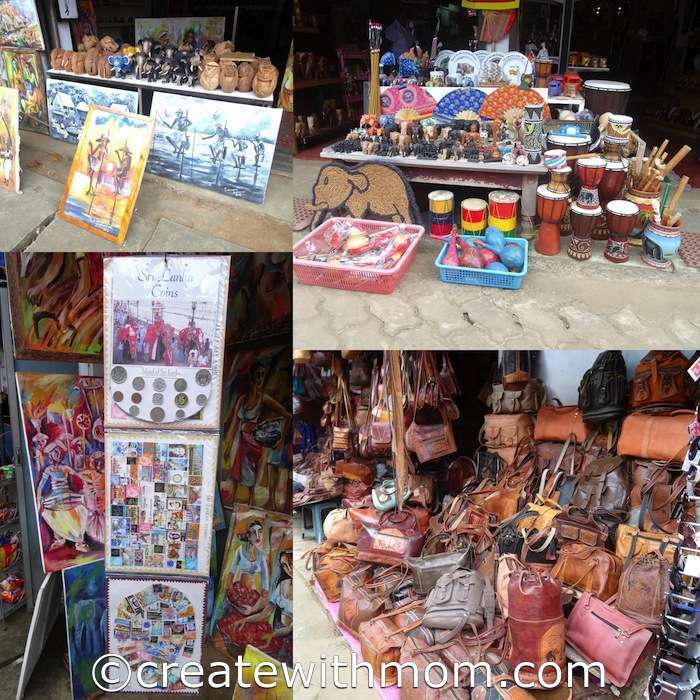 There are lots of wonderful handicrafts we can purchase in the area, as well as a store/ small elephant poo paper factory in the area that teaches how the elephant dung is recycled; more about that in an upcoming post. What a great experience and attraction for something we wouldn't normally see in North America! Elephants are amazing creatures of God. I read a wonderful book about an elephant called Hannah's Dream. What a wonderful program to help preserve these special animals. Great attraction to visit, so many elephants! What an amazing experience and amazing creatures! Wow, this would be so great to visit a place like this and be a part of an awesome adventure also. What a truly amazing experience that must be! Thank you for sharing this info! This place looks so cool. Thanks for sharing! Wow that must've been incredible. Everything about that place sounds amazing, except for the selling part. Such majestic creatures abused by our cruel world. I know a woman who rescues elephants but they never leave the sanctuary, even though they have a choice. They like it there. Pinnawala is one of my favourite places to visit when I go back home! I've seen some fun and scary stuff happen there but I keep returning! It's so nice to see these beautiful creatures having a wonderful life and not being used in circuses or for rides or even worse.